National Cookie Day is Tuesday, December 4. 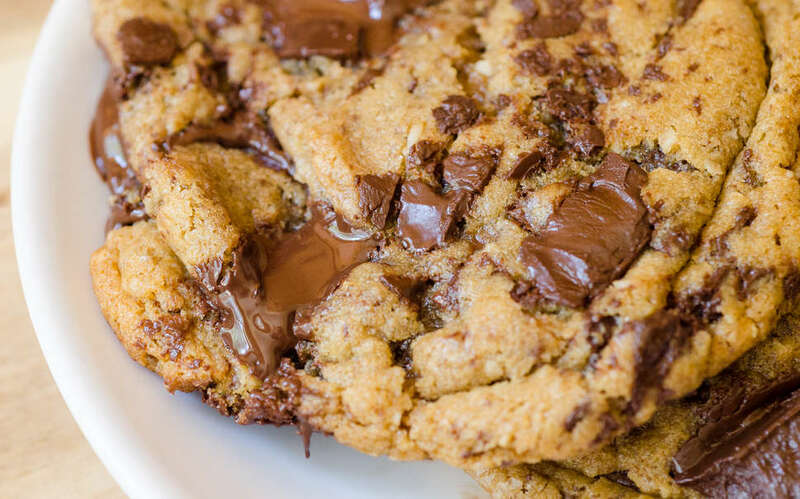 Not to be confused with National Chocolate Chip Cookie Day (in May), this "food holiday" isn't so much a serious celebration of cookies as it is just a good excuse to stuff your face with cookies or maybe get an early start on your holiday cookie baking. And to help you transform into a full-blown Cookie Monster, shops across the country are serving up free cookie deals and other discounts all day. The deal: Stop it at your local Insomnia outpost and they'll hand you a free cookie. It's that simple. But, if for some reason you can't make it for National Cookie Day, the chain is also offering one free cookie with any purchase or online order December 5-6 and 20% off all online orders for the whole week. The deal: Walk into any GAC location across the US and you'll receive one free original chocolate chip cookie. No need to buy anything. Just show up and, you know, ask nicely. The deal: Like or retweet this tweet from the chain and you'll earn yourself a free cookie. Be honest, you've retweeted something like this for less. The deal: This beloved shopping mall cookie purveyor is handing out a free cookie with any purchase. The deal: For the third year, this hotel chain giving out free DoubleTree cookies on National Cookie Day. 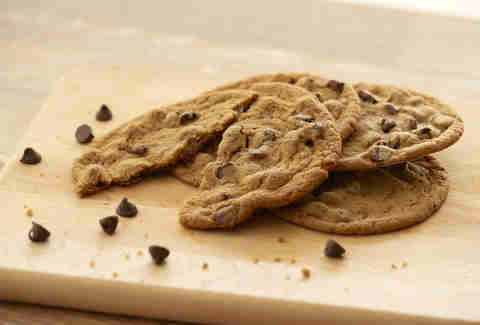 All you have to do is stop by your nearest DoubleTree hotel and they'll treat you to a warm, complimentary cookie. That's it. You don't even have to be a hotel guest. The deal: All first-time Potbelly Perks mobile app users who download the app and signup for an account get a free cookie. Perks indeed. The deal: Buy three classic cookies, get three free. Sure, you have to spend money on this one, but you're paying for convenience. Where else are you going to make one stop and get three cookies for free? The deal: If you're short on time, you can score a free cookie with your regularly scheduled lunch. Buy any regular entree -- sandwich, salad, pizza, flatbread, or tin -- and you'll get a small cookie for free. The deal: You get a free cookie with any purchase. The deal: Cheryl's is taking 50% off of holiday cookie boxes filled with 48 assorted cookies at its retail locations. Meanwhile, you can get 30% off all Holiday Towers when shopping online. The deal: This sub sandwich chain with 75 locations across the country is teaming up with Children's Mercy, a Kansas City-based children's hospital, to make a difference this National Cookie Day. They're offering a $25 card that gets you "free cookies for a year," with all of the proceeds going to Children's Mercy. The deal: The ubiquitous sandwich chain is celebrating National Cookie Day by unveiling its new Mint Chocolate Chip Cookie, which features a rich chocolate cookie, peppermint extract, semi-sweet chocolate chips, and mint chips. And because it’s the holiday season, you can actually gift the cookies to your friends and loved ones with Subway eGift cards. They’re available in increments of one cookie ($1), three cookies ($2), or a dozen cookies ($8) at subway.com/sendcookies. More National Cookie Day Deals? Know of any cookie freebies or deals that we missed? Send us the details (and a link to the official info) to news@thrillist.com and we'll add 'em here. As always, celebrate responsibly. Tony Merevick is Senior News Editor at Thrillist and made some pretty damn good cookies last weekend. Send news tips to news@thrillist.com and follow him on Twitter @tonymerevick.